Facial – A facial is a whole selection and variety of different skin treatments that usually include the use of steam, a cleanser, an exfoliator, a toner, extractions, masks, chemical peels, electrical equipment, massage and creams. The facial may also include an eyebrow shape and tint and an eyelash tint. The therapist will perform a skin analysis to determine your skin type and skin conditions in order to select and use the correct products for your skin which will be beneficial to you. 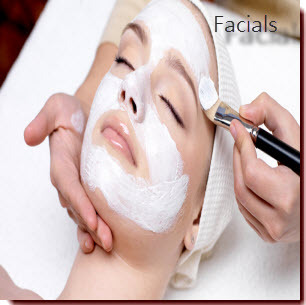 A facial is necessary in order to maintain the overall health of one’s skin and any skin conditions (such as acne).